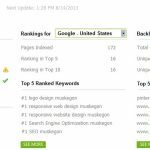 231 Graphics – Best SEO in West Michigan? Just got done running a new ranking report and we are owning a ton of search strings having to do with our industry! Search Engine Optimization aka SEO is a somewhat tricky thing. There are in fact big differences in white hat and black hat tactics, and the Panda and Penguin algorithm updates by Google within the last two years have changed the industry dramatically. Certain strategies that used to be common practice are now considered to be black hat (Black Hat = Naughty or unacceptable | white hat = all good, no worries). What I find interesting about this in particular, is we rank the best out of any web development firm in West Michigan, which is what we are all really pushing and attempting to sell and make money off from. Very nice! 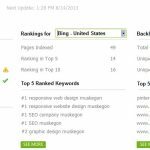 I currently use a piece of software called Traffic Travis to analyze the rankings and other metrics on the sites I am tracking. 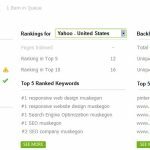 I check the top 50 positions of all of the search strings I believe are important for the site against Google, Bing and Yahoo which we all know to be the top three traffic catching and driving search engines. 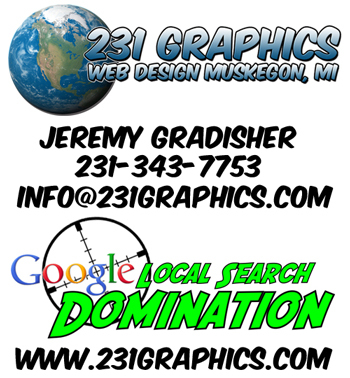 To sum this up, if you are looking for SEO or SEM (Search Engine Marketing) services in West Michigan I would contract 231 Graphics. We can prove that we are the best, I have done so here. I currently charge $30 per hour for SEO in blocks of 10 to 20 hours. You want to beat your competition? Grab up some monthly 10 hour blocks for 3 to 6 months and watch your traffic increase and recieve an easy return on investment. The sky is the limit. Thank you.